The sociology statement of purpose is an important part of your application to a sociology program and could be the deciding factor as to whether or not you are accepted into the program. There are several questions that admissions wants to be answered in the statement of purpose. Why do you want to study sociology? What are your reasons for applying to the program? What are your qualifications for the program? How have you prepared yourself? What are your short and long-term career goals and how do they relate to the program? The answers you give and the way you present those answers will be used by admissions as part of the criteria for applicant selection. Your statement of purpose must convince admissions you have the motivation and the ability to complete the program successfully. Be specific when writing your statement of purpose. 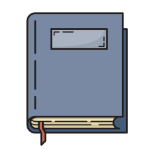 Provide details and use examples to support statements you make. Avoid clichés and quotations in statement of purpose. Use your own words. 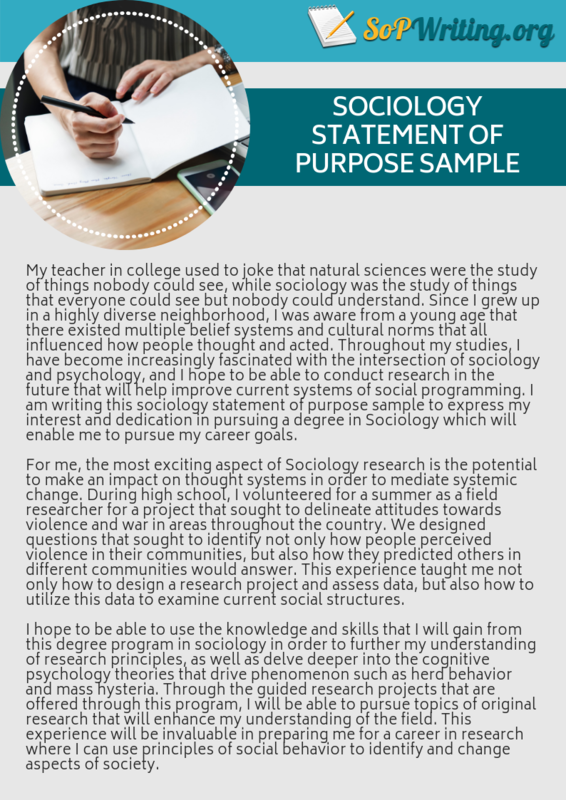 Reviewing a statement of purpose sociology sample can give you some ideas on how it should be written. “I am applying to your MA in Sociology program for the upcoming fall semester. My interest in Sociology began during my undergraduate years in college. Although the grandson of immigrants to this country I had never considered the issues facing the large Hispanic immigrant population or the challenges they face, as it was something I had never had to deal with myself. I completed my undergraduate degree in foreign languages at XYZ University, majoring in Spanish. After graduation I worked for three years for Big City municipal government as an interpreter, where I saw first-hand the difficulties many new Hispanic immigrants had to deal with. By completing an MA in Sociology I will be able to advance my government career while at the same time helping Hispanic immigrants integrate into our society. I am especially interested in doing research in the areas of social demography, immigration, and the special problems and challenges facing Latino populations in the United States. As with other states in the US, the numbers of Hispanic immigrants have grown rapidly over the course of the last decade, especially as many migrate internally from areas such as California and the American Southwest to other areas of the country that have traditionally had fewer Hispanic residents. I would like to delve deeper into the challenges that these migrations represent to our society and looking forward to doing in-depth research on these complicated and interrelated issues. Writing a statement of purpose can be difficult. If you encounter problems when writing the statement of purpose, don’t worry. Our company provides a service that can help. Courteous and helpful customer support 24/7. Get in touch with us for a high-quality statement of purpose sociology tailored to meet your needs!